Our family arrived in Beijing on an ice cold and grey December morning in 2015. With three children, 15 suitcases and a very unhappy cat, we had barely left the aircraft before we put on our masks. Thanks to our newly acquired air pollution app, we knew that Beijing was going to welcome us with a good deal of smog. The numbers did not lie – but more about them later. If you’re about to move to Beijing, you may have experienced skepticism from your family and friends. In our case, the questions went along the lines of “how can you even consider settling down there? And with children? Beijing of all places. 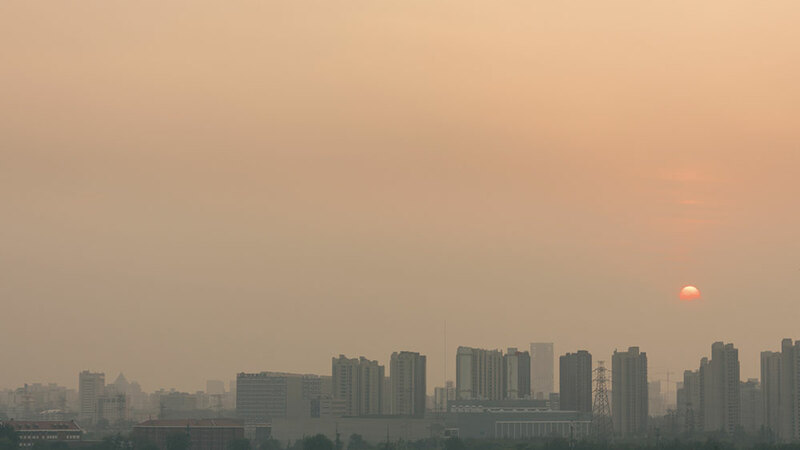 Have you not read about the pollution?”I admit that we were concerned about the air quality aspect – but once you understand the impact (if any) pollution will have on your life in Beijing and become aware of the tools at your disposal, you’re set for a good start. Tomorrow Is Purple: Run for the Hills! The air quality is measured in the density of the tiny PM 2.5 – or fine particulate matters with diameters less than 2.5 micrometers – or 20 times thinner than the human hair. On that cold December morning when we first landed in Beijing, the density of PM 2.5 was approximately 300 micrograms per cubic meter. That is six times the value recommended by the World Health Organization. As individuals, there is little we can do about the city’s air pollution problem. We can moan about it, look at it from our living room windows, shake our heads. And then have faith in Chinese authorities because after all, they are trying to do something about it. If you drive a scooter within the city’s Fourth Ring Road (there are six of them in total) it has to be electric. Diesel cars are banned in Beijing and results of the government’s “coal to gas” program are becoming visible. In the near future, 500 of the most polluting plants will be shut down and 2,500 factories will be upgraded. Authorities have also begun to deal with garbage incineration and the burning of wood. This means, among other things, that most outdoor barbecue restaurants in Beijing have been shut down. But while we’re waiting for a long-term improvement, smog is still a reality in Beijing and as residents, we have some tools we can use to address the problem in our everyday lives. Masks. As newcomers in Beijing, you are likely to find yourself debating the usefulness of masks when talking to your new friends. Some say they work and some say they don’t. There are, however, some very sophisticated and almost completely airtight models on the market and wearing masks certainly cannot harm. My personal advice is to use masks. And when you forget your mask at home, make sure to keep your mouth closed. Studies show that the nose has a natural mechanism to filter dangerous particles and prevent them from entering the lungs. Air purifiers are machines that filter the harmful particles and ensure a better indoor climate. When the pollution is at its worst, all six air purifiers in our apartment run at full blast. And boy are they noisy! They are a bulky and necessary purchase and come in a variety of sizes and prices. Just make sure to check and replace your filter every couple of months (maybe more) to make sure it is still doing its job and not clogged up with PM 2.5. Air quality apps. There are tons of them on the market. Apps that tell us what today’s Air Quality Index is. In the beginning, I checked my app constantly, but our seventh-floor living room window has gradually become our new scale: If we can see the big crane among the skyscrapers in the Central Business District clearly – then the air quality is probably between 50 and 100. If the top of it is covered by smog, we are approaching the 200 mark and if the crane is invisible, it’s time to grab those masks and turn the purifiers up a notch. Closed windows. Whatever happens: Do not open the windows before you’ve checked your app. We wait for blue skies and clean air before we open the windows. Daily ventilation is, alas, a thing of the past. The Egg, or the little gadget that measures the indoor air quality. Far from all Beijing residents invest in an “egg” but in expat circles, it is in high demand and can be a useful tool in making sure the AQI levels indoors are much better than outside. Day trips. I would be lying if I said that the air pollution does not affect my mood. Especially when it’s the fourth or fifth day in a row with grey and thick air. I tend to organize an excursion or a mini-break when it’s too much. You do not have to go far to find cleaner air so whether it’s for a weekend in a different province or a day trip to the mountains just north of Beijing, day trips are by far my most used mental tool. Directly followed by a huge burger from one of the western joints in Sanlitun. Smog is part of our everyday life in Beijing. It is like a heavy cloud in the back of our minds – and on the rooftops of the city. But even when it’s at its worst, life goes on. We cycle, we go out and the kids go to school (luckily, most international schools have very advanced air filters). Shops are open, the elderly meet in the parks for Taichi and folk dance, friends gather (indoors or outdoors) and nothing is canceled. Well except from the training sessions of my husband’s running club. They have set the limit for outdoor training at AQI 200. In our family, we have accepted that bad air is something we have to live with. So far, I have luckily succeeded in letting the positive and unique experiences in China outweigh the poor air quality. I may well be going crazy but sometimes it’s as if I can hear Beijing whisper to me: “I know, you’re feeling down today. Thank you for your patience and here is most beautiful blue sky and an air quality of 30 for you. Go ahead and open those windows”. For more of Lise’s reflections and stories about everyday life in Beijing, go to her blog www.ninemillionbicycles.weebly.com or to www.lisefloris.com. 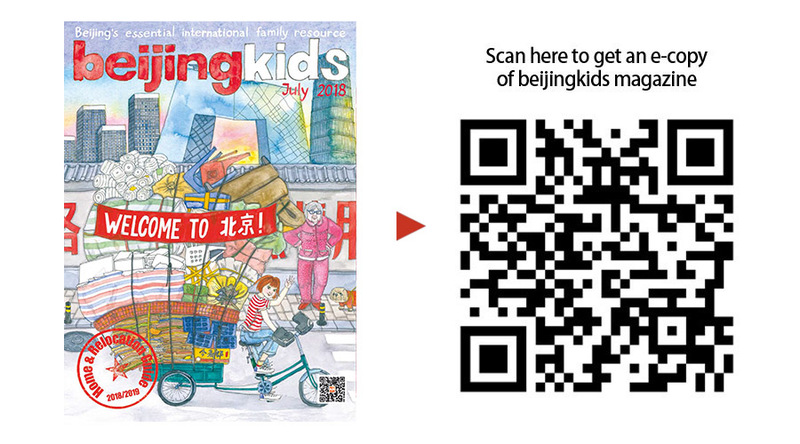 This article appeared on p44－45 of beijingkids July 2018 Home & Relocation Guide issue.